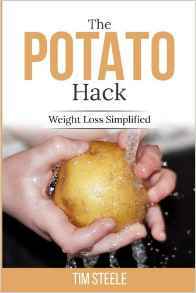 Maybe this potato hack thing is ingrained in us, evolutionarily. Here is proof that potato hacking predates even Homo sapiens. At some point during those years of monkey-to-monkey knowledge sharing, Imo discovered a second hack to make her potato consumption more pleasurable–by dipping her potatoes in the ocean instead of the river, the saltwater would season the potato and make it taste better. So don’t feel bad if you like a little salt while you are potato hackin’. It’s only natural! Or maybe you are just a monkey?